I am an avid potato fan and I love soups. So putting the two together is great for me. Not only do they make perfect lunches, but they freeze well and are great for chilly days. 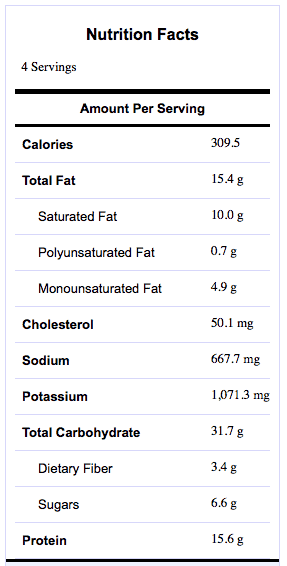 Soup can be simple or extremely elaborate, depending on your ingredient list. 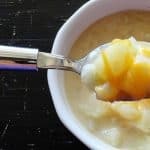 This particular potato soup is not only delicious, but it’s fast, it’s easy and has a short ingredient list making it an ideal quick meal. I actually quartered this recipe and made it just for myself the other day since A) no one else was home and B) I only had two very small Yukon Gold potatoes left. It was the perfect amount though and came together pretty quickly. 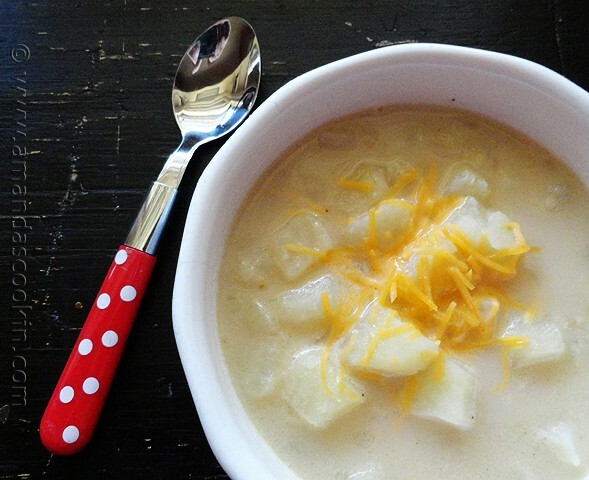 I could definitely see making a big batch of this potato cheddar soup and freezing it for future lunches or even a quick meal paired with some fresh bread. You could crumble some bacon on top of this along with the cheddar cheese, but I chose to pass only because I’m trying to watch my caloric intake. :) Bacon would be a most amazing addition though! This would go great with this Italian Grilled Cheese Sandwich! 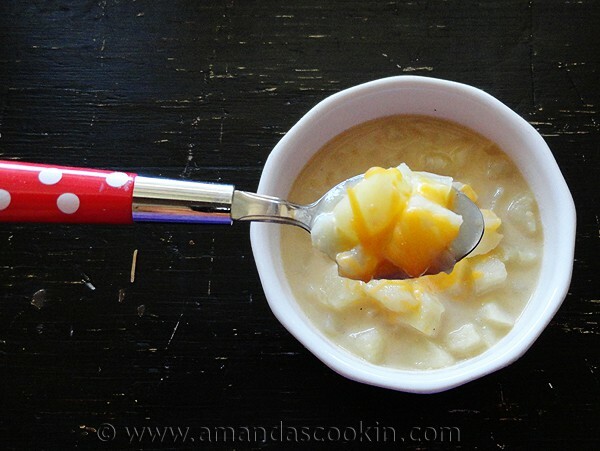 And if you’re looking for more, I found a bunch of easy soup recipes on Happy Hooligans! They come in all different colors and would be totally fun for a picnic or barbecue! Of course, I just bought them because they were fun, it was a Christmas present to myself. :) You can get them here if you are interested. Melt butter in a large saucepan over medium heat. Add onion; sauté 3 minutes. Add garlic; sauté 2 minutes. Add potatoes and broth; bring to a boil. Reduce heat; simmer 12 to 14 minutes or until vegetables are tender. Transfer 1 cup of the mixture to a blender or food processor; pureé until smooth. Return mixture to saucepan. Stir in milk; heat over medium heat until hot (do not boil). Season to taste with salt. Ladle soup into four bowls; top with cheese. 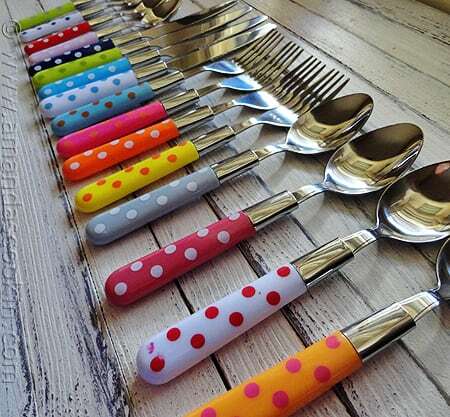 Hooray for cute spoons…I have a feeling they’ll be all over the blogosphere soon! 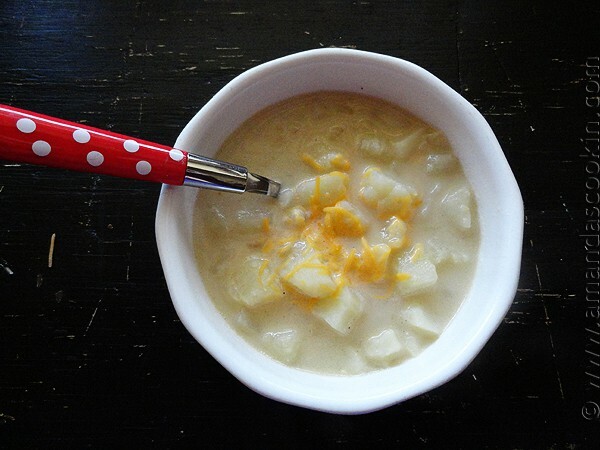 Potato soup is so satisfying, especially with cheese! Love the cutlery — too cute :) And I love potato soup now that Florida is slightly chilly. Oh so slightly. Thank Kiran! I need to get some plain white dishes now so I can use the cutlery more often haha! This soup looks so delicious, Amanda! 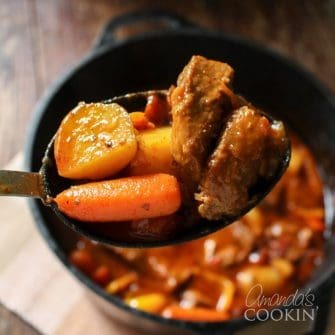 Very warm, hearty and just the thing for these cold winter days. Thanks for sharing. You have a lovely blog and I’m so glad to have found you! Wow hearty and delicious.And the cutlery is so cute. That soup would be perfect on a day like this!